This guided 4WD adventure tour will show you the best of both Kakadu and Litchfield National Parks. Whilst on tour, search for crocodiles and other wildlife, explore stunning wetland wildlife and swim in all the picturesque waterholes and waterfalls. It’s a Northern Territory adventure to be had. 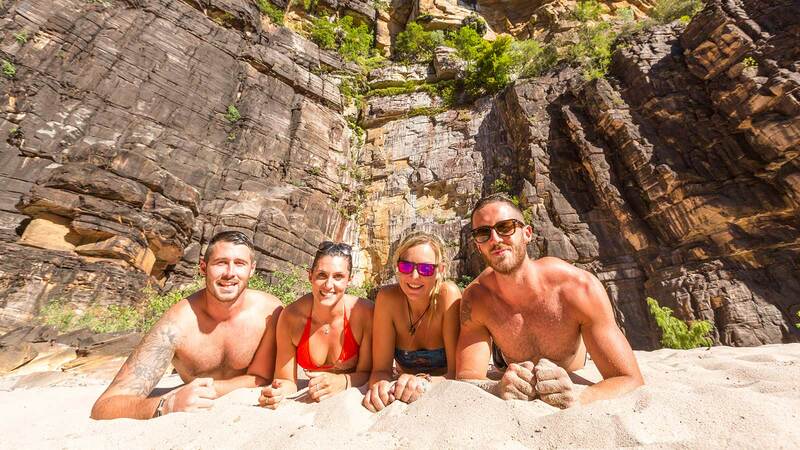 This three-day small group adventure will open your eyes to the beauty of Australia’s Northern Territory. 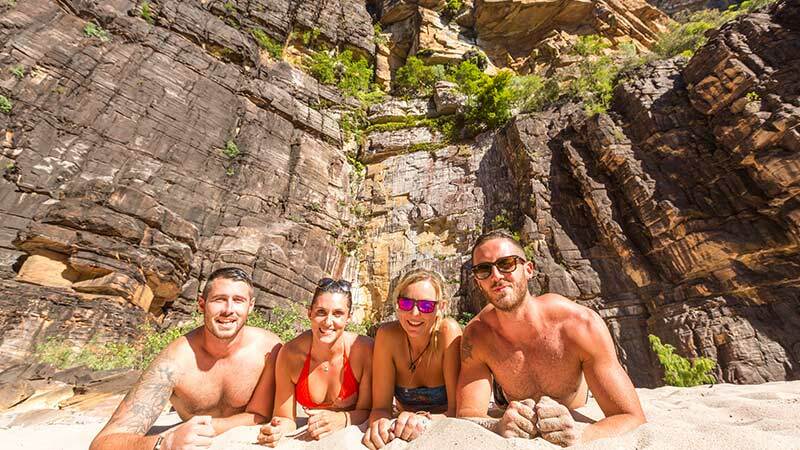 Swim in the plunge pools under waterfalls in Litchfield National Park and learn all about the region’s Indigenous history from your guide. Explore the landscape and waterfalls of Kakadu National Park (World Heritage listed for both its cultural and natural values), all the while travelling along rocky four-wheel drive tracks, and searching for crocodiles and other wildlife on an award-winning billabong cruise. Sleeping bag hire is optional and is at an extra $30 with fee to be paid direct to the supplier. The Twin Falls boat shuttle fee ($12.50 is not included and payable direct on day of cruise). The Kakadu National Park entry fee is also not included and is payable direct on day of travel. Pick up from your selected Darwin accommodation will be at approx. 6.30am with return on the third day at approx. 5.30pm.